Jake Fletcher is a professional genealogist, educator, and blogger from Massachusetts. Since high school, he has kept a personal genealogy blog that documents his family history research. Jake has had articles published in other genealogy blogs including Legacy News and The Legal Genealogist. In 2013, he received his Bachelor’s Degree in History from Fitchburg State University with recognition as a Commonwealth Honors Scholar. He currently volunteers as a research assistant at the National Archives in Waltham, Massachusetts. Jake’s expertise include researching families from North America and the British Isles, while his interests extend to ancestors around the Globe. Jake belongs to several societies and is vice president of the New England Association of Professional Genealogists (NEAPG) and Massachusetts Society of Genealogists (MSOG), Worcester Chapter. He currently lives in Lunenburg, Massachusetts. Amanda Roberge, “Seeking story lines of our own,” Telegram and Gazette, 16 Sep 2016. 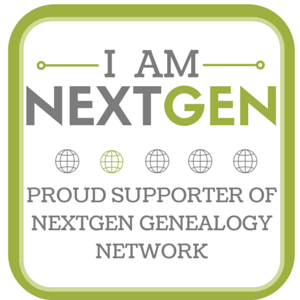 2015 New England Regional Genealogy Conference (NERGC), Providence, RI. Out of respect for an individuals privacy, I will not post public information that could threaten the identity of people that are currently living unless I get permission from the person I am posting information on. If I need to mention someone who is living I will cite you with your last name only. I will post information on people who are not living and public records on those persons, as I am allowed to do so. If for some reason, you don’t want me to post a particular piece of information on this blog because the rights of you and your families’ privacy feels invaded, I will delete the information from my blog. Thank you, I appreciate it and likewise. Interesting and well done blog. I look forward to updates from your blog. No problem, I look forward to reading your blog. Hi Jake. Thanks for following my blog at http://throughthebyzantinegate.wordpress.com I hope you will enjoy the journey my Uncle and I are taking to rediscover our Italian heritage and what we learn about our ancestors. I have reciprocated by subscribing to your blog. I look forward to learning about your adventures in family history. No problem Amy, never too late to start. Thanks for following and likewise, i look forward to following yours. Thank you for following the Brotman Blog. I am impressed with what you have done and envious that you were able to start your research at a much younger age than I did (I was 60 when I started). I look forward to following your blog. No problem Sue, I’ve enjoyed it so far, good luck in genealogy and happy holidays. Very impressive research! Stanford library recently had a seminar on Digital Humanities (DH). Perhaps your research is of interest to them. Very appreciative of you efforts! I have noted a new e-mail, if you should need it! Great blog on your Connor family. I’ve been researching my Conner family in NC for awhile and verified my line back to 1850 and that thick brick wall. Thanks for sharing. Working on getting some of my research on WordPress blog, hope to have it up soon. I love your website. My great grandmother, Grace E. Cross, was born in Mansfield and, I believe from Census info is a first cousin of Connecticut Gov. Wilbur L. Cross b. also in Mansfield. I’ve been doing some recent research into this and alot of the work has been done for me through many genealogy sites and former CT genealogists. Looking over your site, it seems the Freeman family knew the Daniel Cross family during a land purchase. It’s great to see photos of land, buildings and landmarks you have posted. My grandmother spoke of visiting her family in Mansfield and Willimantic as a child and of being related to Wilbur Cross. I moved from CT 2 yrs. ago but visit there often. I plan to spend time this summer in Mansfield doing some similar research as you did. What you have posted is very helpful. Thanks. And thanks for all your work. Wonderful to find young people who value history. Thanks for your comment. Patty’s email is patty880@gmail.com, im sure she would love to hear from you. I am a volunteer with the Redwood City history archives. I am working on an article about Gen. Connor for our Journal of Local History. His family lived in a house in Redwood City that still stands. I would like to get in touch with Patty Powell who your cite reports has the general’s sword and belt. Thanks for the encouragement and that’s great you were able to trace the footsteps of General Connor. My son Leo V. Merle V passed on your blog to me.Thank you for what must be a tireless effort to trace your family origins.I am the great great grandson of General Patrick Edward Connor and the great grandson of Bartley Patrick Oliver whose wife Katy was the daughter of the General.My Grandfather Leo V. Merle did a good job on the geneology of our french side and a bit on his inlaws, the Olivers.He would regale us with tales of of the distant pass and activities of our forefathers when I was a child.I am now 72 years old! We have some great books which you may be aware of yourself, regarding the Oliver/Connors mainly Gen Connor.’The Soldiers of the Overland (trail) which described Gen. Connors activities from the Missouri River to the west and all of the military posts he established or participated in,Fort Churchill,Bridger and of course Fort Douglas above Salt Lake City where he was also involved in mining and passenger boat ventures. )Others, Bringham(Young) and the Brigider,Connor,——and the Mormons,The middle name escapes me.I am sure you have an awarness of these publications.MY family and I retraced the General’s from Stockyon to Salt Lake, stopping at his various stops of record, themn to Wyoming to a frieds large 14,000 acre ranch.At the many places we visited there we constantly mentions in historical spots and publications of General Connor and his influence upon the area.Thank you for your monumental effort in tracing your early family back to Ireland.They obviously were a lively bunch,no shirking violets among them and unafraid of taking on great tasks and challenges.I hope some of that has rubbed off on us their decendants. Keep up the good work,we look forward to more long lost facts and stories of our Irish forefathers. Jake – Your website is really great. I agree that the internet really is amazing when it comes to research and finding information. I found your website when I searched my mother’s last name which is Fleischhauer. She was the daughter of Frank and Caroline and her name was Ann. She was very close to your grandfather, Bob. I read your interview with my Uncle Bill. And I would like to say that I agree with part of it but not all of it. My uncle Bill and my grandmother did have a rocky relationship but I have an issue that it states she was a very angry and vindictive person. I had known her to be a loving, generous person. She was human as we all are. I would love for you to take that comment about her out as it personally pains me to see her referenced that way. Thank you for taking the time to research this. It is very valuable to be able to read about my family. Please feel free to call and stop by anytime. I would love to see you.